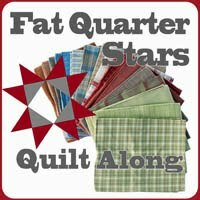 Konda of Moose on the Porch Quilts is hosting a Fat Quarter Stars Quilt-Along on her site. It started late January and will run until end of March 2012. 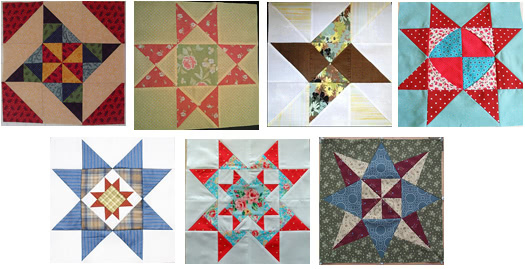 Every Tuesday a new star block is posted. Here are the first seven blocks that have been created. Aren’t they gorgeous? I love the variety. 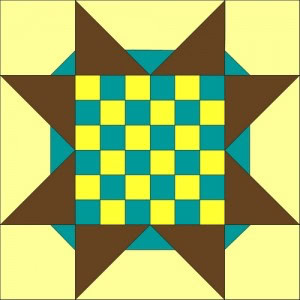 You can find the quilt-along info and block tutorials on this page: Fat Quarter Stars Quilt-Along. 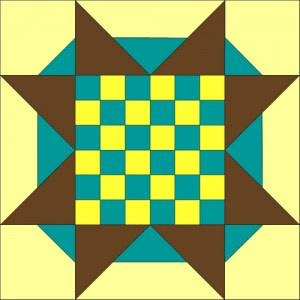 You can jump in and join the quilt-along at anytime. There are prizes too! 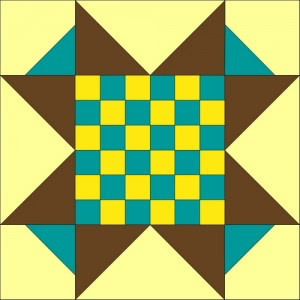 See the gorgeous blocks that have been created so far in the Flickr group. At the end of January, I’ll have a block featured. I’ve been playing around in EQ7 this week, and below are four block variations I’ve come up with. What do you think? Do you have a preference? There’s a poll underneath the photos that you can select your preferred block. The colours will change depending on what fabrics I choose to use. I’m hoping to get a test block done this weekend. Which block version is your fave? 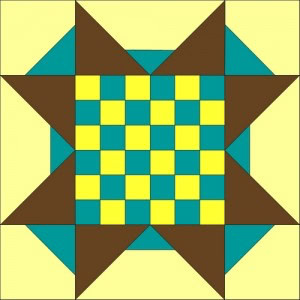 Wow, love your variations, especially like the checker center. Thanks for sharing.